Welcome to Ocean Way Studios — the world’s first dynamic room modeling plug‑in. Developed by Universal Audio and Allen Sides, the Ocean Way Studios plug-in for UAD-2 hardware and Apollo interfaces rewrites the book on what’s possible with acoustic space emulation. By combining elements of room, microphone, and source modeling, Ocean Way Studios moves far beyond standard impulse response players and reverbs — giving you an authentic replication of one of the world’s most famous recording studios. 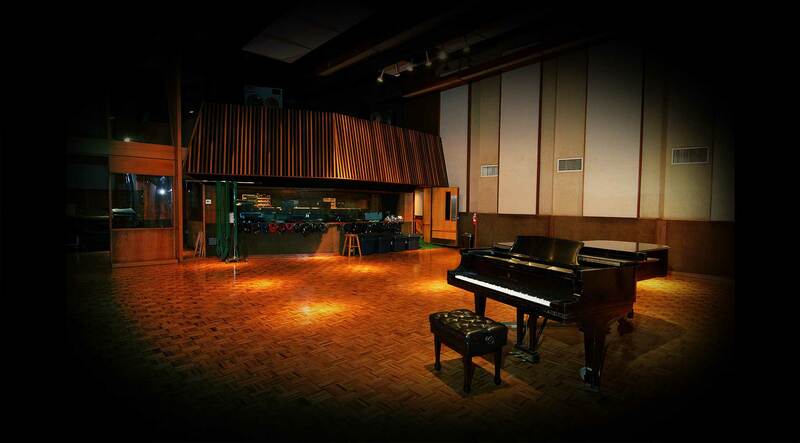 From the opening of Bill Putnam’s United Recording in 1957, to the annexing of neighboring Western Studio in 1961, to their reinvention as Ocean Way Recording under Allen Sides — the famed “Studio A” and “Studio B” at Ocean Way Studios have shaped the sound of countless classic records. From Ray Charles and the Beach Boys, to the Rolling Stones, and Radiohead, music creators have sought out the sound of these beautifully balanced rooms for more than five decades. Ocean Way Studios reinvents ambience processing with UA’s proprietary Dynamic Room Modeling technology, an exclusive combination of signal processing and advanced measurement techniques. Whereas standard convolution reverbs only provide a sonic snapshot, Dynamic Room Modeling offers the full spectrum of a studio’s ambience possibilities. Specifically, Dynamic Room Modeling provides the unique dispersion properties of various sources, as recorded through various vintage microphones that can be positioned in each room — in real time — via a simple click-and-drag interface. This technology gives the Ocean Way Studios plug-in a shocking level of sonic realism. With virtual access to $250,000 of hand-picked, vintage microphones, Ocean Way’s microphone setups and Distance controls are the centerpiece of the plug-in. The setups capture the ideal microphone selections and placements for each room and source type. Up to three vintage microphones pairs (Near, Mid, Far) are available in each setup, allowing for creative sonic blending. Click-and-drag the microphones to position them in the room, then EQ and filter their sound as desired — complete with mic bleed and proximity effects. Ocean Way Studios offers two modes of operation: Reverb mode, using send/return paths to mix wet and dry signals; or Re-Mic mode, to fully immerse the original source audio within Ocean Way’s rooms. Re-Mic mode is by nature “fully wet,” and can be used to entirely replace your original room and microphone sounds with the fabled sound of Ocean Way. I didn't believe this would work. I would rate this a 5 if it weren't for its downsides, which unfortunately means at this point its a 3 star rating. This is a superb sounding utility plugin, does amazing things to dull sounds, makes them feel alive and warm and can be many things to many people depending on how its used. Really, an excellent concept and end result. In 2 weeks, I am just scratching the surface with the UAD- Ocean Way plug-in. The obvious problem with project studios is the lack of coherent space in the individual tracks and in the overall mix. Ocean Way offers a great way to bring big studio space to small studios. I is very well thought out, and sounds amazing, and I haven't even tried a surround mix yet (I am retired from orchestrating and conducting, often in large sound stages). It is not a 'one-size-fits-all' plug-in, and you need to know what you are doing. You also have to take the time to learn the spaces and mics offered and how to implement them in your particular situation. That said, I believe this is the single most ground-breaking plug-in I have ever worked with. I bought my first Lexicon reverb about 6 months ago. After using the reverbs in Studio One, Pro Tools, Ableton, Reason (and various free ones), I was blown away! It had sweet, smooth reverbs that made everything sound good. What could be better? Umm....OCEAN WAY STUDIOS plugin, that's what! I love the sound of this plugin....and it's more than just a reverb. I've never been to Ocean Way, but I HAVE been to Abbey Road and this plug is what I imagine OWS to be.....simply AWESOME sounding! Controlled, but natural reverb at its best. Oh, and the reamping bit with other mic choices is brilliant!!!! Thank you UA (and Ocean Way) for sharing these amazing spaces in an easy-to-use plugin. I'm in heaven! I was skeptical with this plugin. I didn't think it would sound like room mice but more like a reverb. I figured it was going to be a very high quality reverb but not mice in a room. I was wrong. I can use these as room mics and treat them as such. No more trying to mask the room I recorded in with heavy EQ/ Compression/ FX I will just pull this plugin up and so many of my problems are gone. Well done UA. This is a revision. Now that I have bought this plugin I find myself using it a lot more than I thought I would. It is, in fact, different from other convolution reverbs, which I didn't get at first. I wish the plugin were more flexible (more mics) and the interface more fun (cannot drag the mics around), but it really does sound a lot like recording in the room--as intended. The "replace the microphone" technology is a little suspect (how could it possibly replace the sound of an actual microphone? ), but it does something--I know not what--that sounds good on may things. All in all, a useful plugin, if rather pricey for what it does. I read a review somewhere about this plugin, and looked forward to trying it so I could put my tracks in the famous Ocean Way sound. I loved the sound on strings, a piano, guitars and especially drums, but when I ran a poorly recorded vocal track through the plug in its "REAMP" mode I discovered the best unexpected benefit imaginable. The track, with its poor tone, came to life as it was "reamped" through Ocean Way's AKG C12. The resonance of my room, accenting certain lower mid frequencies, disappeared and the tone got sweet and silky. A useful plugin suddenly became indispensible. Love it. Also dry speaking voices finally get a great home. Dry/Wet level to 1-2% is enough in my case. Some say you can get similar results by messing around with convo verbs. Not sure, haven't tried myself. But I do know that this thing gives EXCELLENT results, very quickly, and that means a lot in my world. I don't want to have to TRY. I want my tools to "do stuff" for me right out of the gate and this thing does that. Put it on drum overheads and it's as if those drums were done in that room. Very realistic IMO and a powerful tool in the right hands. This is my first review of UA software, but i felt i needed to give some credit here. I was reluctant to purchase because i didn't realize the real value at first: the Re-Mic mode and the ability, to bring virtual instruments to life. There are convolution verbs out there that sound great, and if your source was recorded with the right way, this probably gets you close to the 100%. However if you are dealing with a lot of virtual instruments that sound "ok" but not "real", in the end it is only going to sound like an "unreal" instrument with a nice verb. This plug makes it sound real to me. You have all flexibility to tweak the sound to your taste. -1 star for resource consumption, please make an SE version. Yep, overpriced as has been mentioned many times but it does add a dimension that I haven't been able to create from any other plug in. At least in a reasonable amount of time and effort. I've never recorded at OWS so I can't say it sounds like you're recording in a great room- for my purposes the comparison is useless and nothing more then marketing. If it sounds good and gets the job done I couldn't care less what it's modeled after. As a reverb it does a great job of creating space around a sound source- that's all I need to make it a valid tool. In my opinion this is UA's best offering yet via the powered plug in world. Teaming up with Ocean Way was more then genius or any word close for that matter. The warmth, the room molding, mic ability... the list go's on & on but I don't want to list too much more because I have to get back to Ocean Way via my Home Studio! It's cool & has great potential but uses up too much of my 2 UAD Quad cards. If you use it, don't expect to use a lot of other UAD plugins with it. The re-mic option is insane! I used one of the most advanced piano sample libs in my track that was VERY busy and wanted to have a solo piano and NOTHING I had worked so I picked the closest one to match the overall sound and it still stuck out of the mix... After I used this plug in a remic function, I was able to reposition this piano in a way that it became a part of the song like it was supposed to, and it took a minute of tweaking! I think it's a one of a kind plugins, there's nothing out there that can fool you and make u think it was meant like this! This plugin actually adds a lot to my sonic arsenal and has been used mainly this week on drum bus, but we also used on vocs. It adds something to the sound more than a reverb and an EQ or even a mic IR. Perhaps its voodoo or alien technology, but however this was created this has become an indispensable mixing tool, more than paying for itself this week alone as clients love its sound so much! Really Amazed by Universal Audio once again!!! Excellent plugin for 2013! I cannot believe how much detail UAD have put into this plugin. For the price they're asking, It's worth it! You can re-mic or reverb the Room according creating chambers to suit what you're trying to achieve in a mix. When I use this plugin, I mainly use it in context of reverb of a room. Sonic albums like 'Birds of Tokyo' have that nice big and open drum kit which I feel this plugin has enabled me to recreate, that room ambience one would dream of! I highly recommend this plug-in if your trying to achieve reverb ambience or re-mic feature treating dead spots in an untreated room. "You realize this is our new secret Weapon Right"? I just smiled, shook my head and said yeah I know. I hadn't even run the Demo, I know better, any time I run the Demo's I end up buying the plug anyway, so I'm like, Why Bother! Big Thumbs UA! Were off to Ocean Way without an airline ticket! Just Awesome!!!!!! This plugin sounds great. Very flexible and easy to use. The room sound reacts very realistically and dynamically, it even sounds good with compression. It is not the real thing, but in a mix, it gets a hell of a lot closer than anything I've tried. I just finished recording a trumpet player do multipe overdubs. This plugin was able to give me incredible results in remic mode to make it sound as if it was a horn section playing live together in a room. Gorgeous on drums too. I think UA nailed it on this.